In an important piece, first published in the Bella magazine, Gehan Macleod explores the differences between charity and solidarity (charity is vertical, solidarity is horizontal) and reflects on twenty years of collective experience with GalGael working with wood and building boats in the practice of craft in building community. In a world full of endless opinion, listen to the people who do stuff. GalGael, the organisation I work with, crossed something of a milestone this month. A little over twenty years ago, GalGael received a letter from the tax man – recognising our charitable status. A week ago we held an event to celebrate all we’d learned over the twenty years that have passed since then. Receiving a letter from the taxman, was something of an ironic landmark to celebrate as I’ll explain. As the years have unfolded, we’ve been more open about sharing our unconventional beginnings. GalGael first constellated around a protest fire in a dark woodland on the edge of one of Glasgow’s housing schemes – Pollok; the first of four such schemes in response to inner city slum conditions. It’s an area that has been shaped by successive waves of regeneration policy, some that have recently been identified as contributing to the ‘Glasgow effect’ – Glaswegians’ higher risk of premature death. While protesting a motorway that would cut off those in the ‘scheme’ from parkland, we learned much about how to create community in a difficult space. We had to learn how to create a place of relative safety in the midst of an area of ‘excess morbidity’. It was an exciting time; edgy and full of possibility. Videos uploaded to Youtube over the years capture some of that. We declared a Free State. We created our own passport, our own stamps, our own university. Somehow the symbolic opened up so much possibility that wasn’t there before. Looking back now, perhaps it was our co-creation of an alternative reality that revealed our normal mode of complicity with the set of assumptions and beliefs that comprise the dominant reality or socioeconomic structures of the present day. A recent conversation with Douglas Robertson, a sociology professor at Stirling University brought me to this quote from Bourdieu; “our denial, the source of social alchemy is, like magic, a collective undertaking”. Colin Macleod, my late husband, who spent much of his childhood in Pollok Park escaping the ‘scheme’, later described the Free State where he stood his ground as an ‘art installation’ and a ‘leading question’. Despite all this possibility, we lost the campaign and the motorway was built. But we had no wish to throw away all we’d learned – often through excessive hardships. 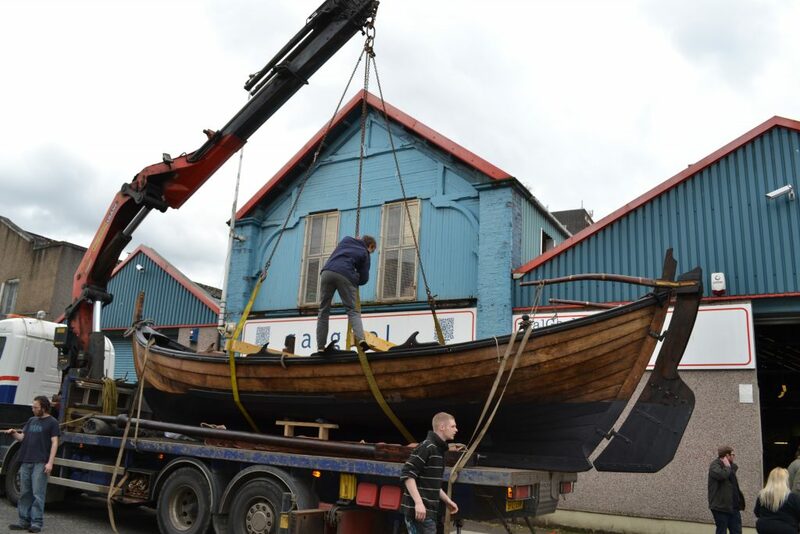 GalGael was our vehicle to continue working with those hard-won lessons and shift from being about what we didn’t want to what we did want. There was a clear founding intention that this was not about establishing a charity but rather reconvening peoplehood – what it means to be a people. And that for me is why it was a little ironic that the landmark we celebrated constituted our recognition as a charity. Peoplehood is fundamentally about relationship, identity and culture – all characteristics that institutions, not even charitable ones demonstrate particularly well (in my book at least). As an organisation matures there are certain pressures that come to bear, including to become ‘mainstream’. Often that’s how we define success in the Third Sector. It’s not that the mainstream is ‘bad’ of itself. Its simply that it creates what Illich referred to as a ‘radical monopoly’. More cause for celebration for me personally is that we’ve partly overcome the challenge of how an entity sustains itself without becoming institutionalised, without being co-opted. What Graham Leicester of International Futures Forum refers to in his book Transformative Innovation as a ‘creative integrity’ seems to be a more useful description of GalGael as an organisation – more peoplehood, less charity. But so it was that we came to be gathered with 100 or so folk in a dark room on a stunning day in Glasgow’s CCA (Center for Contemporary Arts). The event was an opportunity to look back over the past 20 years or more, share with others in what we thought we were learning but also to use this as strong ground from which to look to the future. It was quite a challenge to do justice to the past two decades which have been incredibly diverse – the acts of the story are happening faster than we are able to record them. It was a massive headache trying to pick out some pictures to tell the story too – so many to chose from. But what was really striking was the busy-ness of all those years. Every picture features some piece of work – or ‘graft’ as Colin loved to call it – various crafts, materials, settings, tools and results. Some successes, quite a few failures and a lot of sawdust! The other thing that’s striking is the number of different faces – all people that will forever be part of our story and we like to hope that GalGael is a little part of theirs, wherever they are now. I tried to think of a way that numbers might describe our journey; over 11 ½ years 951 people have worked with us. We have built about 21 boats but I’d hazard a guess won far less races (we once came third in a race although there were only three boats). Soup or a basic meal is an important part of our daily ritual and so I worked out a calculation that estimates we’ve shared 27,120 bowls of soup in the last seven years. But whatever we count – numbers will struggle to convey the richness of our story or the contribution I believe we have made. The event format resisted the usual ‘service user testimonials’ which somehow objectify people’s lives in ways that make me a little uncomfortable. Instead we opted for an ‘open mic’ – we wanted to invite many voices to tell our story and say a little about what GalGael means to them. Our own Alastair McIntosh took the many threads of contributions from those gathered and spoke to the soul that has carried us through the years. We watched flickery old footage put together by Tom Wall before sharing food together – something that as my ‘soup stat’ indicates – has been a constant of our community down the years. l-meaning professionals. It critically damages Antonovsky’s sense of coherence that Harry Burns references, defined as a person’s situation being comprehensible, manageable and meaningful. My guess is this is an epidemic that stretches into the employed population too. Despite what felt like a tall order, the day hit all the right notes. In a stuffy room we managed to generate energy and there were a number of comments and tweets that suggest people left uplifted and hopeful. We concluded the day with launching our Charter – the outcome of a collaborative process that involved our whole community; participants, volunteers, board members and staff. The Charter felt more called for than the strategic plan that had lapsed. Our plans while producing much that was useful, always fell short in my view of speaking to the full depth and breadth of our work. The essence that made us GalGael was somehow missing. As we crossed the threshold into the next twenty years it felt important to try to distill this somehow. The Charter is ‘our gift to the stranger’ who walks through our doors in twenty years time. We want them to experience the same essence we hold dear. I hope that we have succeeded in this through the Charter’s words and carefully teased out passages. Back at the workshop – craft defines our relationships. It creates a purposeful workspace where you are not objectified as the ‘service user’ in need of help but an active agent – the focus becomes the object you’re working on, often beautiful or useful, and new forms of identity get bound up in this act of creation. The sense of agency generated through the craft process is immensely important. Grayson Perry described craft as “the physical manifestation of ‘I can change the world’” The craft gestures themselves – chiseling, sawing, hammering – create new neural pathways, working with the brain’s plasticity to erase negative past patterns. But it’s also something about the immediacy of the experience; its embodied; its not abstract that is immensely important. And that you are engaged in producing something where you have a relationship to the end use in ways that are no longer so often the case in our global marketplaces. This is of course particularly true of the boats that slide from workshop to water for both literal and metaphorical journeys. Each stroke of the oar generates not only speed but agency, coherence and meaning as you inhabit the river that otherwise passed you by. The kind of relationships that craft set up – where you are no longer a ‘service user’ or a ‘patient’ – get away from the tendency people can have to inadvertently self-identify with the ‘issue’ they present with. You hear this in the way people describe themselves – rather than experiencing addiction they are an addict, rather than experiencing depression they are depressed. I cannot help feel the injustice of these self-limiting narratives and it’s also led me to be curious about the role of thought and words – how even the subtleties of our use of language creates a propensity to one outcome or another. Developing the critical capacities to analyse the structural causes of your experience in the way that Paulo Freire advocates are also fundamentally important. Freirian thought is one of the diverse frames that’s been helpful in contextualising our work as well as those of Max Neef, Margaret Wheatley and Bruce Alexander to name a few. They have contributed to a perspective where we no longer see issues such as addiction, homelessness or depression as a dysfunction of the individual. Rather they are adaptions of functional individuals to dysfunctional systems operating within wider society. It’s not your illness – it is ours. GalGael’s Charter sets the scene for the years yet to come and for greater wrestling with what we’ve learned so far – so that our workshop and places like it, are no longer just countercultural liminal spaces on the edges of society but prototypes for different ways of being in society, prototypes for new forms of social contract, new frameworks for solidarity. Excellent piece with so much thought provoking content. Enjoyed reading this on my return from holiday. As someone who has worked in the past for “caring professions” both for local government and in the “third” sector (charities), I have often felt something fundamental missing in the approach taken towards “clients”, “service users”, “chaotic individuals” etc. etc. etc. This piece articulates what that missing ingredient is; a way of working which recognises that we are all the same at heart: connected, equal, struggling, daft and brilliant, weak and strong, wretched and noble. Why is it so much easier to get money for “scoping exercises”,”needs assessments” etc. etc. (that put a salary in the pocket of middle-class professionals like me) than it is to put actual tools into the hands of those who need them? Gehan MacLeod is one of Scotland’s heroes.